This model boasts superb workmanship, materials, and operating convenience. A tried and tested success, the Dometic S4 top-hung hinged window boasts a built-in aluminum-coated darkening blind and a flyscreen. A secure locking system prevents it from being opened from the outside. The flyscreen and darkening blind can be clipped together allowing them to be conveniently adjusted with one hand. Double acrylic glazing of the window pane and a robust polyurethane frame ensure excellent insulation. These double-glazed acrylic windows also comprise an ASA plastic frame. 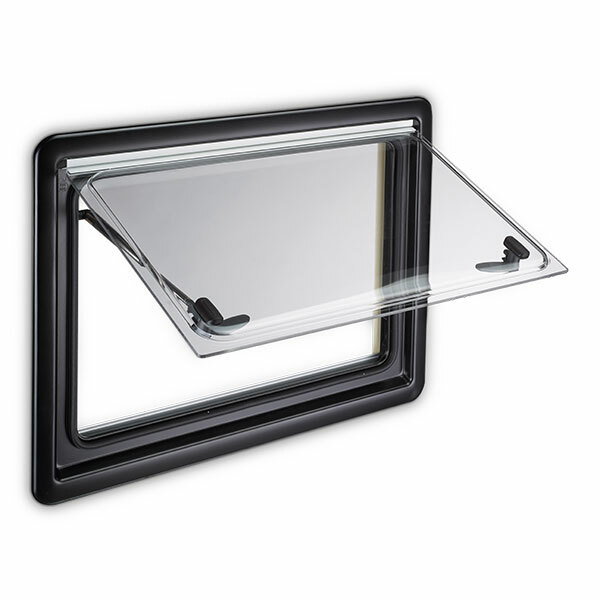 The windows have a 0 to 90° opening, and are easy and quick to install. They also come with a pleated folding block-out blind and midge-proof flyscreen. This window has two and four-radius options plus a wind-out window operation, and a double-glazed option is available. 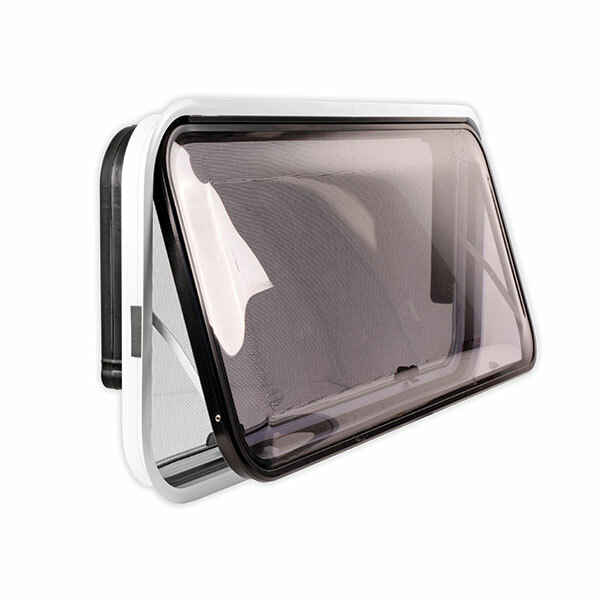 The easily installed Odyssey window is made of high UV-stabilised tinted moulded acrylic. It has a fixed flyscreen and a replacement is available. 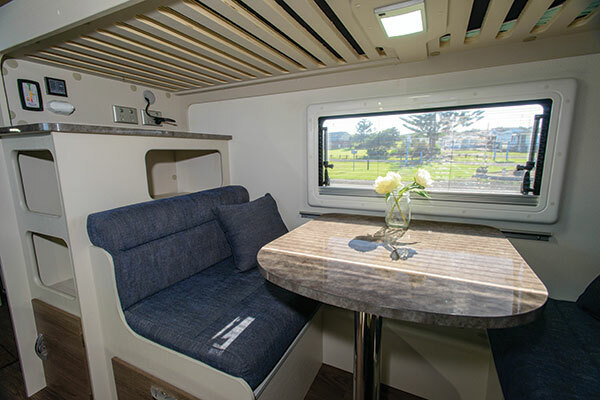 ATRV’s range of EuroVision windows offers the option of a top quality European-styled window for caravan and RV buyers in Australia. EuroVision windows are ADR-approved and suitable for fitting to either caravans or motorhomes and the screwless clamp-style design provides a simple and secure fixing method. Combined with the easy-fit internal blind ensemble and optional curtain tracking, a quality finish to your RV is assured. Available in a range of sizes, the double-glazed acrylic panel is UV-resistant and the block-out blind is heat reflective, keeping you cooler when it counts. The full feature appeared in Caravan World #566. Subscribe today for the latest caravan reviews and news every month!